Our partners from a wide range of industries typically approach us with a specific problem to solve. Below are some product examples. To achieve deep, saturated colors, the manufacturing of paints and coatings traditionally requires numerous dispersion additives for pigment stabilization. These additives, however, have some of the negative side effects that come with large amounts of conventional dispersion additives, making the formulations highly complex and the product expensive. The challenge is to achieve pigment stabilization while drastically reducing the concentration of organic additives in the product. We developed an inorganic additive, Disbarit® nano Basic, a low-viscous dispersion of electrosterically stabilized nano barium sulfate. The particles move between pigments as spacers, physically preventing the sedimentation and agglomeration of pigment particles. The use of our new additive leads to a significant reduction of conventional stabilization additives. The production process is simplified. Depending on the application and pigment type, overall raw material and production costs can be reduced by up to 50 percent. The product can be used in formulations with or without binders. In the precast field, concrete is cast in slabs, and parts can only be removed from these once they’ve reached a certain solidity—which can take anywhere from eight to 24 hours. 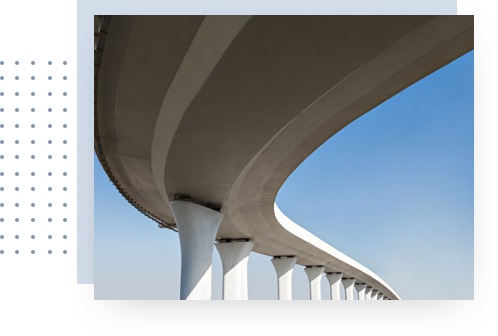 Our challenge was to accelerate the concrete solidification process (hydration) through compatible additives for such construction applications as bridges and high rises. We created the concrete accelerator, a nano-scaled (high surface area) component that affects and accelerates the concrete hydration process. It is a low-viscous, custom-made dispersion of calcium-containing particles in water. Improved early compression strengths thanks to the accelerated hydration of the concrete. Lower costs for the client. Applying metals to surfaces such as glass requires excellent melting behavior and high melting temperatures that can be critical for thermolabile materials. The challenge was to manufacture a nanoparticle product, finely dispersed in a liquid, that could be deposited as metallic film on thermolabile materials for decorative and conductive coatings. We developed a dispersion coating of nano-scale metallic particles with an improved melting behavior that can be applied to a wide variety of materials. These are typically used to decorate quality glasses or to create high-end mirrors. The lower thermal curing temperature allows metallic films to be applied onto thermo-sensitive substrates that had not been suitable as carrier materials before. The improved melting of the metallic particles creates even, high-gloss finishes. Wax dispersions consist of finely dispersed wax particles in water and are used for a wide variety of surface and volume treatments. Currently, wax dispersions are made by first grinding wax in a mill and then discontinuously processing it in a stirrer tank. The challenge was to achieve the continuous production of submicron-sized wax dispersions. We applied the MJR® system to achieve a direct emulsification and solidification in a continuous process. This enabled us to create water-based wax particle dispersions that can be used in a wide range of protective and functional coating applications (e.g., transparency, slip friction), including architectural and industrial coatings. The continuous production of wax dispersions has been enabled. Sticky waxes or those with a low melting point can be processed. Cost benefits and consistent quality are achieved through the continuous production set-up. As required, and depending on the wax applied, properties including slip/anti-mar, water or abrasion resistance can be optimized. Most paints, pastes and coatings contain color pigments that turn the isolating binder property into an electroconductive one. The challenge was to develop an insulating coating with good coloristic properties, as many electronic engineering applications require this to prevent short-circuiting. Electric current conduction only occurs if the current can flow through the complete surface or volume via interconnected conductive particles (percolation). Conductivity can be reduced if the individual particles are covered with an insulating layer (similar to the rubber cover of an electric cable). We developed an inorganic additive for converting conductive pigmented coatings into electrical insulating ones through spacer technology. Thanks to a shell of insulating nanoparticles that prevent the pigments from percolation, electrically insulating pigmented coatings can be achieved. The formulation of paints and coatings with insulating properties and appropriate coloristics is enabled. Young cotyledon seeds are prone to fungus attacks during their first few days of sprouting. Conventional fungicides are applied to the young plants and do not display long-term antifungal behavior. The challenge was to develop a solution that offers long-term antifungal protection. We created surface-modified particles that adhere to the surface of the seed when applied and are then released in a controlled fashion over a period of a few days. The seeds are treated by means of seed etching, a surface modification procedure achieved through spraying and drying. Thanks to our fungicidal particles, cotyledons are better protected against fungus attacks, resulting in healthier growth and higher crop yields.